Headlands Garden Plants is a family run nursery located in British Columbia’s Fraser Valley. Started by Stephen and Julie Head in 2003, the nursery evolved out of a combination of our interest in herbs and pursuit of cultivating plants in harmony with our environment, hence our tag line, ‘a natural balance™’. Stephen trained as a horticulturist in England and Julie, also from England, has a long standing interest in herbs, particularly harvesting and cooking with herbs. She particularly enjoys experimenting with different combinations and dishes. Our nursery has a dedicated staff, passionate about what they do, working hard to ensure that the quality of the plants we offer is unsurpassed. The plant collection includes over 80 herbs and edible plants sold under the brand name of Fragro®, noticeable by the distinctive cream and terracotta tag and terracotta colored pot. The Fragro® collection of herbs and edible plants caters to every taste, from garnishes to gourmet cooking. Like so many people today, we’re fussy about what we eat, and what goes onto our food. Fragro® herbs and edible plants are grown using biological and organic approved pest controls. Within our business, we strive to offer only the highest quality plants to our customers and attain a high level of sustainability and social responsibility. 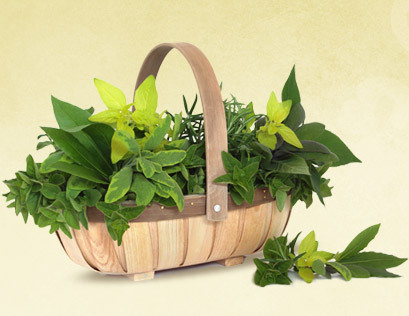 Fragro® plants offer something for everyone, whether it’s herbs for culinary use, to add a pleasant fragrance to the garden or for patio containers, there is something for every discerning cook or gardener. Available only from leading garden centres in Western Canada, be sure to ask for the Fragro® brand at your local garden centre.